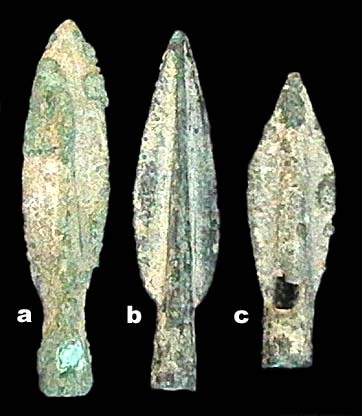 Ancient arrowheads are possibly the most common type of artifact found worldwide. 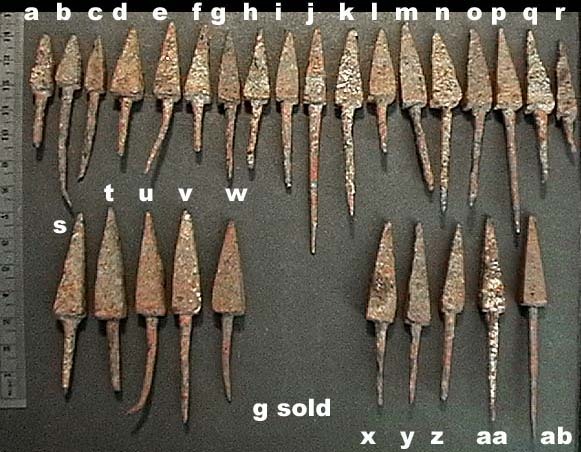 A tour of Google looking for "Scythian arrowheads," "Greek arrowheads," "Turkish arrowheads," "Mongol arrowheads," etc. turned up nothing useful and definitive. 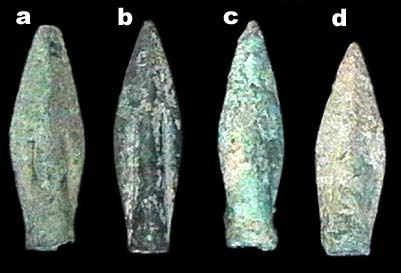 I found references of archeological digs from Ukraine to Uzbekistan mentioning finds of "typical" arrowheads of this or that culture, but none with pictures. And I found dealer sites with no definitive information. 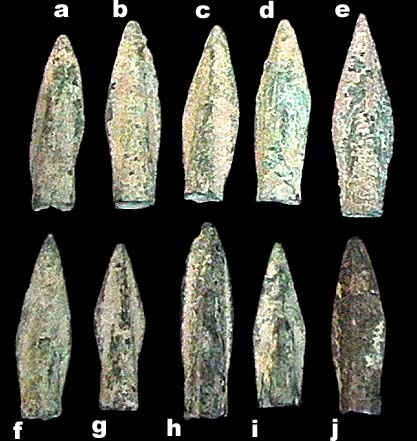 Same types attributed to Greeks, Scythians, Parthians, Luristan, Rome. 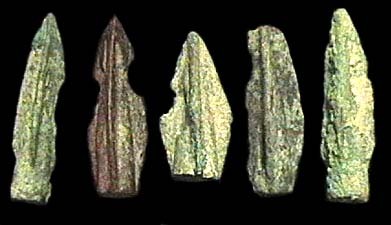 Several sites use Malloy's "Official Guide to Artifacts of Ancient Civilizations," which IS NOT accurate regarding arrowheads. 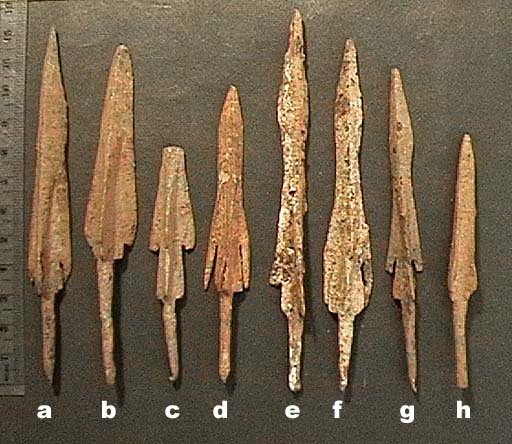 Until further notice I would advise you to regard all attributions of ancient and medieval arrowheads with skepticism. This is not a comment on authenticity, which is usually not in doubt. 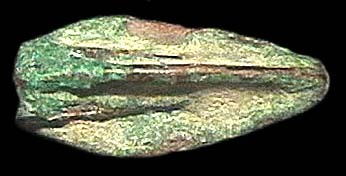 In following listings authenticity is guaranteed, site data is presented if available, cultural and temporal attributions are guesses. I am not afraid to admit ignorance. Proud to be able to state "I don't know." Do you have good reference material? Are you knowledgeable? Please contact me. Many more in stock. I will send you choice specimens.